The April 19 issue of the New Yorker had an interesting article by Lauren Collins on the American photographer George Steinmetz. His speciality is taking pictures from a motorised paraglider which he flies low and slow (27 mph is the one speed it has). With it he can get the angles which he wants, whereas “trying to get a pilot to put a plane exactly where you want it is like trying to get someone else to scratch an itch”. The picture above is of a salt-making site at the village of Teguidda-n-Tessoumt in northern Niger. 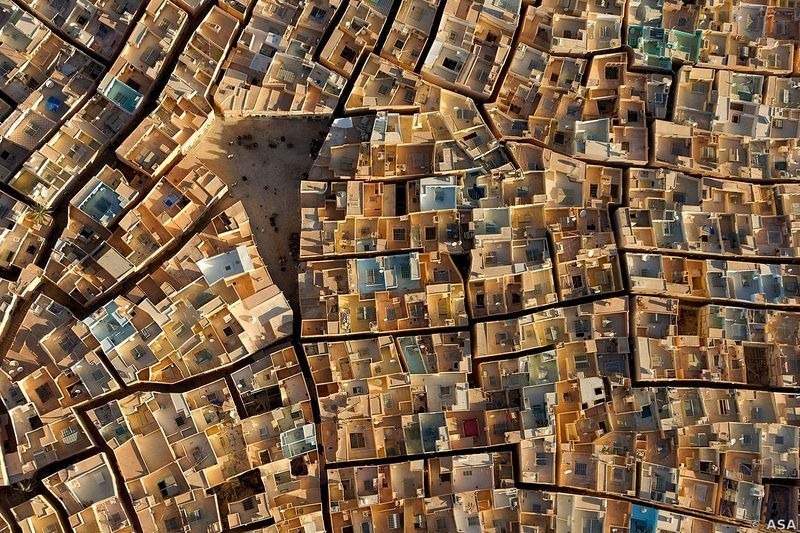 The next photograph is of Beni Isguen, one of the five walled villages in the M’zab region of Algeria, which seen from above looks like the inside of a multi-coloured electronic device. 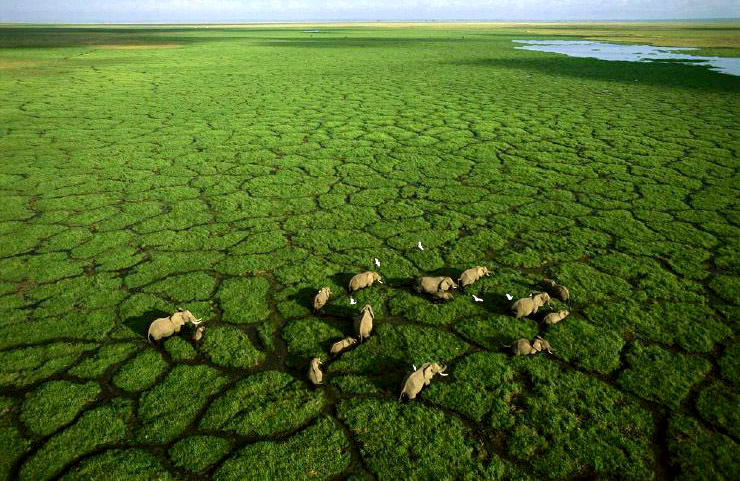 And you can find more photographs and videos at http://www.georgesteinmetz.com/.